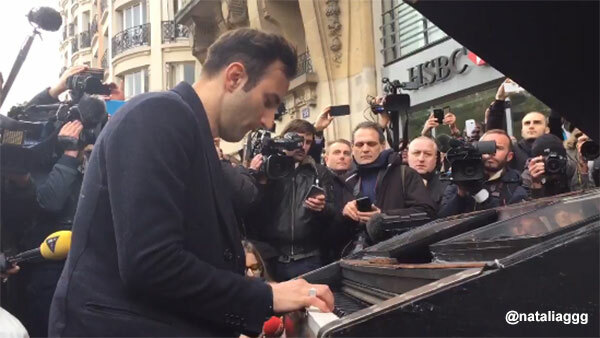 A man brought his piano to the Bataclan concert hall on Saturday, where only hours before dozens of people were killed in a terrorist attack in Paris, France. With a memorial scene growing nearby, the man started playing John Lennon's 'Imagine.' It was one of the many tributes being offered around the world to those affected by the tragedy.